Is it possible to get an LL.M. degree without leaving the four walls of your home? Online LL.M. or distance learning LL.M. programs promise to do just that. While traditionally eschewed as not as prestigious as brick and mortar LL.M.s, the new range of online Master of Laws programs are often at the same level of quality, and sometimes better, than other non-online options. Today, online LL.M. programs are offered at a broad range of top institutions in the U.S. and the U.K., including New York University, Oxford, Boston University, Washington University in St. Louis, Edinburgh, and Queen Mary University. The programs offer high quality instruction and courses to those seeking maximum flexibility. In particular, Master of Laws degrees by distance learning are ideal for those with professional or family commitments that prohibit them from moving to another location to complete an LL.M. While the ability to undertake a general online LL.M. is possible, many online LL.M. programs are targeted at specific areas of practice or knowledge. Examples of such specialized LL.M.s abound. They include NYU’s Executive LL.M. 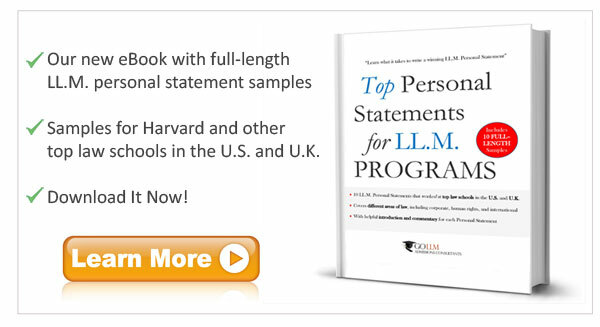 in Tax, Boston University’s Tax LL.M., Edinburgh’s LL.M. in Intellectual Property Law, Liverpool’s LL.M. in International Business Law, Connecticut’s LL.M. in Insurance Law, New York Law School’s LL.M. in Real Estate, and Hong Kong’s LL.M. in Chinese Business Law. Completion of these and other specialist distance learning LL.M degrees enables students to quickly increase their skill or knowledge set in specified areas, which can then be used in existing employment situations or in transitioning to new areas. Distance learning LL.M.s are also ironically often geared towards maximizing interactions between faculty and students and between the students themselves. Thus, many online LL.M. programs offer web chats, video conferences, virtual classrooms, online discussion boards and other online learning environment tools. Programs may even offer the chance to virtually interact with a faculty member on a one-to-one basis or allow students to virtually work together in the same way as they would if they were physically located in the same place. Because online LL.M programs privilege flexibility, classes can be offered through a variety of methods. While some programs offer ‘live’ classes, most programs offer pre-recorded lectures that can be downloaded by a student at his or her convenience. Lecture notes and supplementary study guides are also provided in advance by some programs, enabling students to study whenever and wherever they choose. Nevertheless, while flexibility can be an important advantage for some LL.M. students, for others it can spell disaster. Since most online LL.M. programs are completed on a part-time basis, students without sufficient drive or initiative may find it challenging to complete such a program. In addition, as the physical community – in the form of professors and fellow students – is only virtual, it may be more difficult for them to act as a source of inspiration (or peer pressure) to compel students to complete assignments or to make time to study. Many programs charge the same or similar tuition for online Master of Laws degrees as they do for those in which physical presence is necessary. Nevertheless, virtual or online LL.M. programs do enable students to save on the substantial costs of housing and transportation which would be required for non-online LL.M. programs. In addition, as in the case of traditional LL.M. degrees, there are a number of funding options available to support prospective candidates. A final factor to consider when obtaining an LL.M. is the reputation of the granting institution. 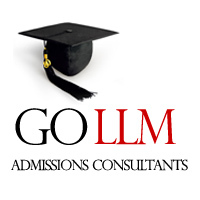 Since the novelty of internet-based LL.M.s may lessen the reputation of these degrees compared to similar degrees gained by physically attending a law school, the importance of the granting institution becomes imperative. For instance, NYU’s famed online LL.M. program in tax law still outshines brick and mortar degrees obtained from less prestigious institutions. For this reason, preference should be given to programs provided by well-known, reputable law schools. Nevertheless, as online LL.M. programs gain currency and are provided by more and more institutions, their overall reputations will increase. Conclusion: To Online or Not to Online? At the end of the day, online LL.M. programs are likely not the best avenue for those looking to benefit from learning in a new environment abroad, for those who seek companionship in their studies, or for those who lack the self-discipline necessary to complete work mainly on an individual basis. Yet for those individuals who are immovable due to family or work constraints and for those seeking to accelerate their skills without leaving home, an online or distance learning LL.M. – particularly from a prestigious institution – is an excellent option worth considering.